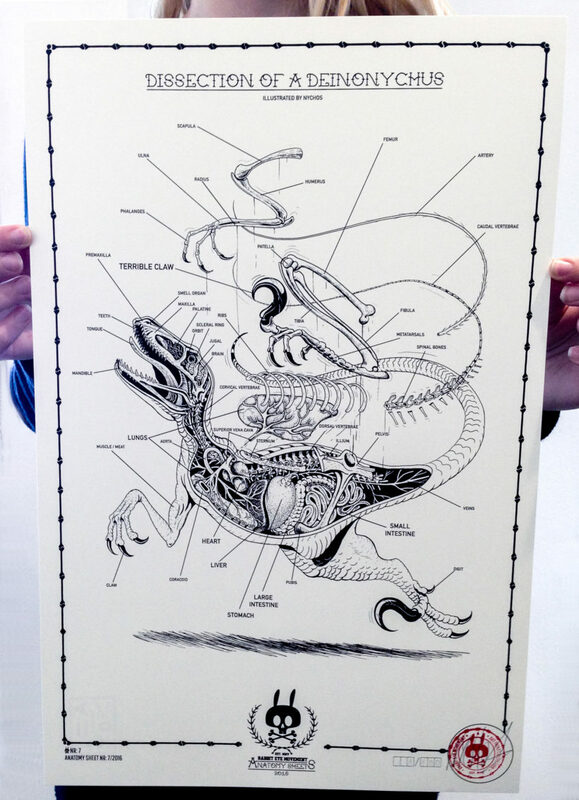 Our Anatomy Sheet series continues with screen print No. 7/10. After revealing the skeletal structure of a certain raptor and his claw, we now show you how our fellow looks like on the inside.